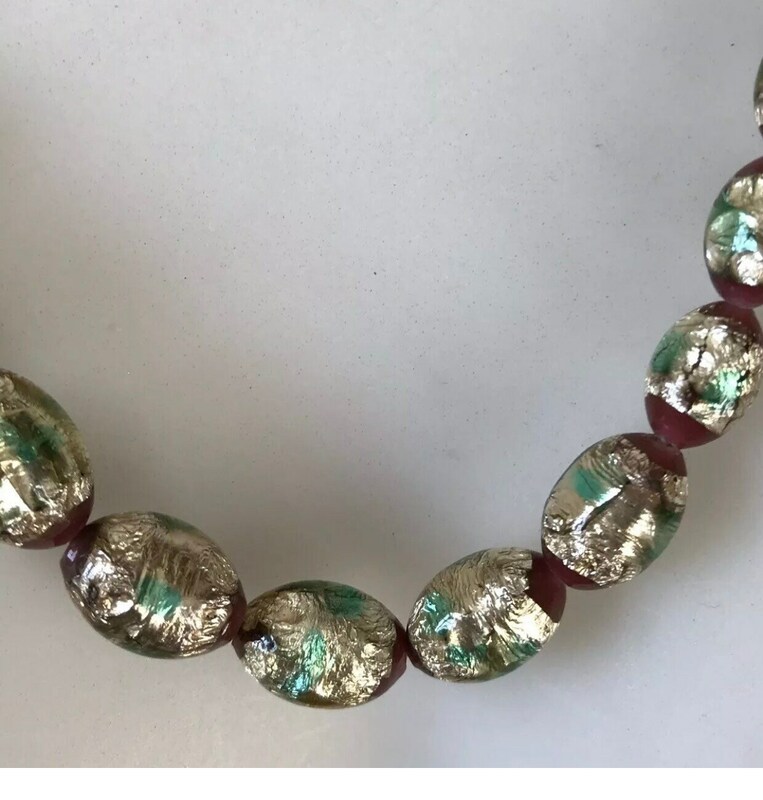 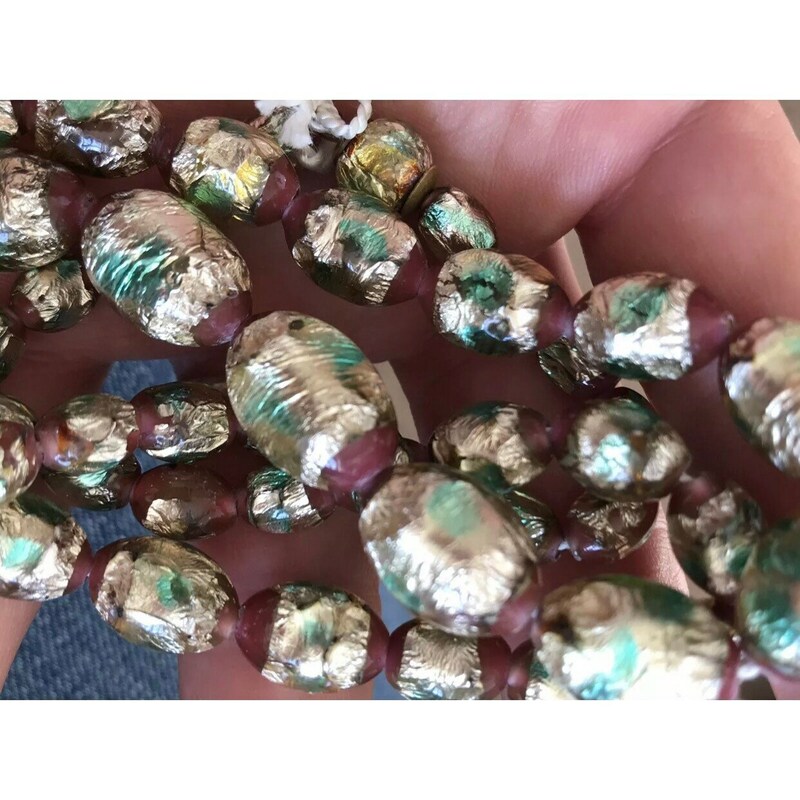 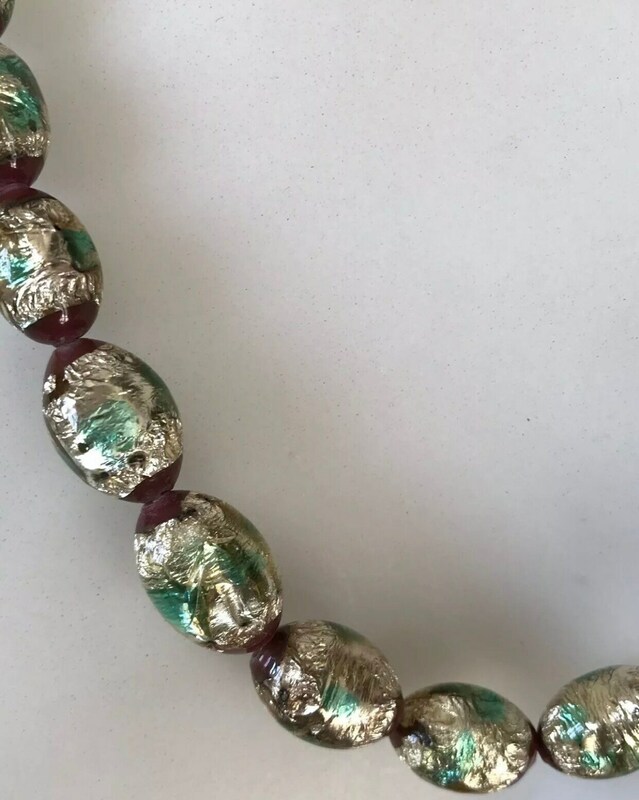 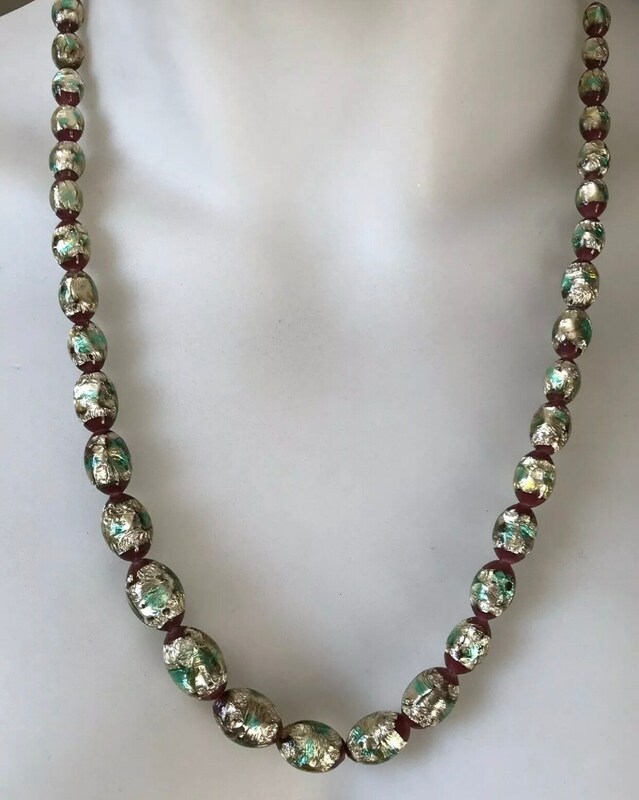 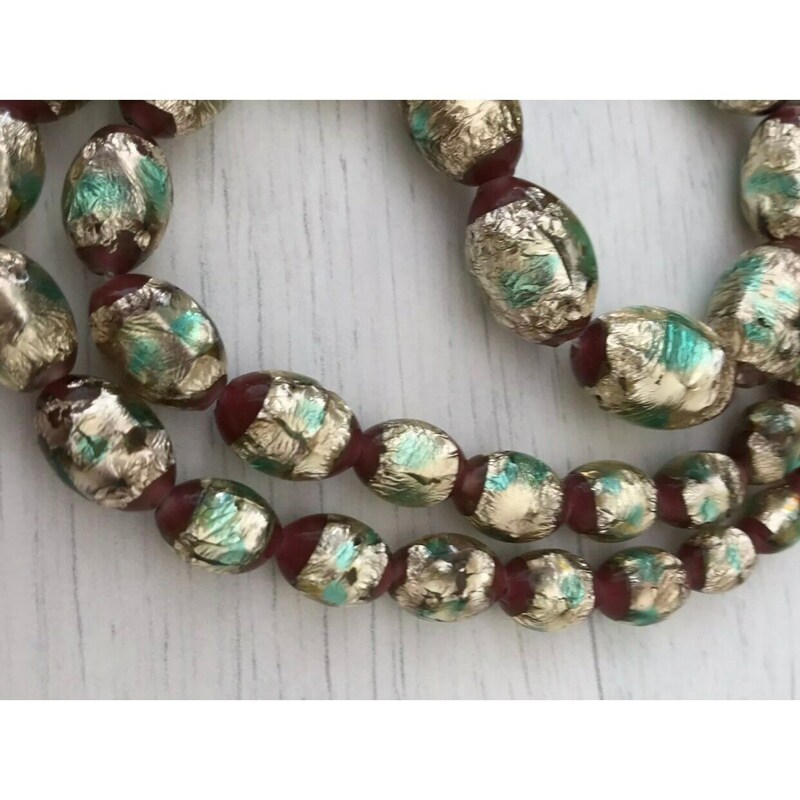 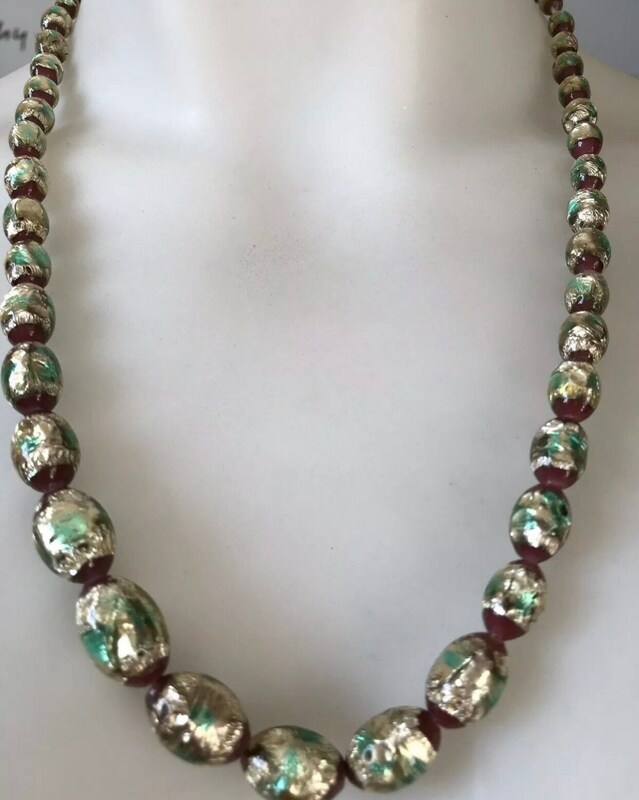 Superb Art Deco Glass Foil Bead Necklace Multi Coloured. 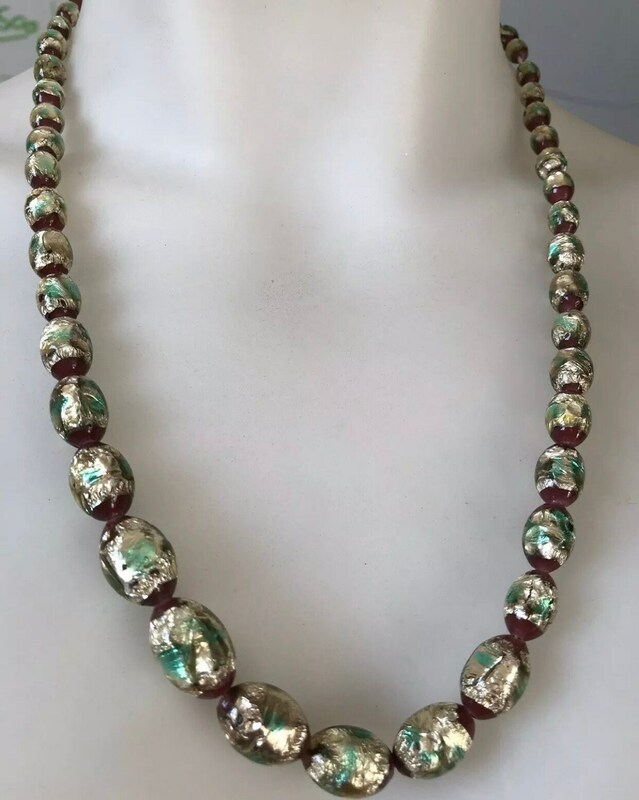 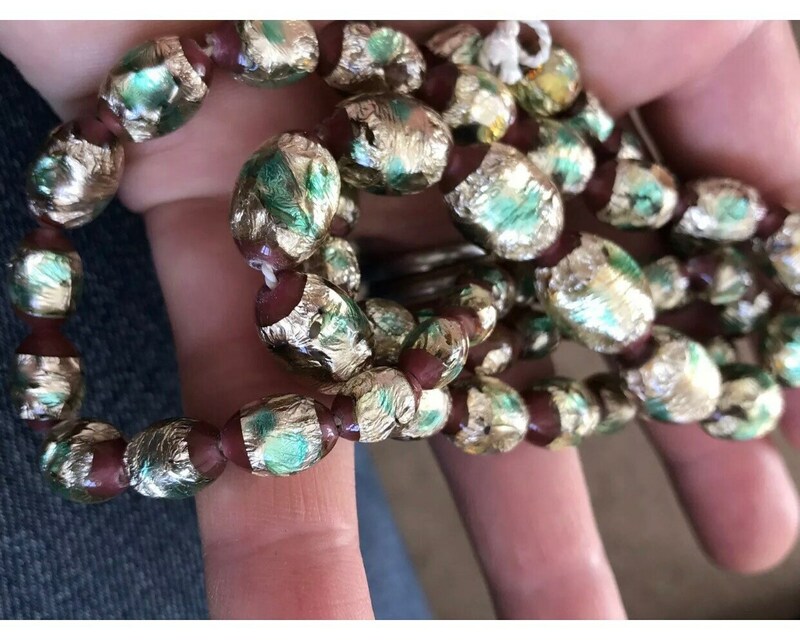 This necklace measures approximately 22 inches in length. 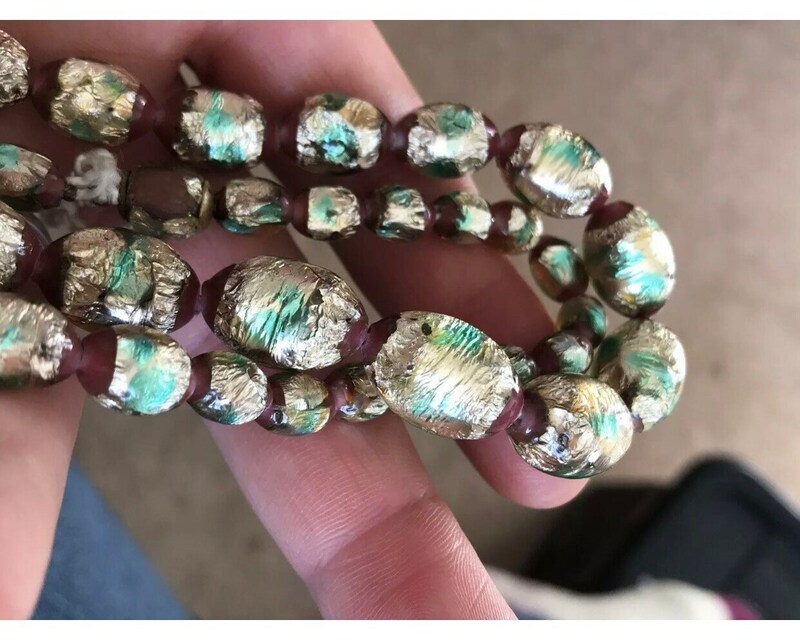 They are loosely tied on white string so would benefit from re stringing if possible, they remain in excellent condition apart from some damage to the clasp bead. Please ask for any other information.